Roof tile has been used since archaic Greece, and is today one of the most popular forms of roofing. 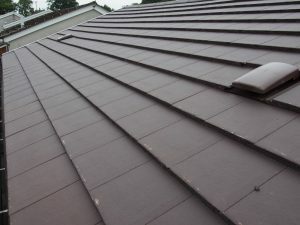 Roof tile act as an outer-most layer of sheathing, and drain water well due to their unique structures. There are many roof tile shapes available, including flat, roman, pantile, barrel, tower, and tegula. All roof tile shapes allow for overlapping and/or interlocking, and they are hung in parallel rows from the framework of a roof. The advantages of a tile roof include important features such as fire safety, non-combustibility, and durability. Roof tile are usually made from slate or clay, yet they are also available in concrete, plastic, and other more modern roofing materials. When it comes to durability, ‘cement roof tile’ or ‘concrete roof tile’, are most suited. Made from sand, cement, and pigment, cement roof tile do not rot, curl, burn, or rust, and have a high solar reflectance. As a result, cement roof tile are generally given a lifetime warranty. Additionally, concrete roof tile can withstand pressures of up to 400 pounds without reinforcement, making maintenance both safer and easier. Alternatively, clay roof tile offers authenticity and architectural character, and can be suited to both modern and historical appearances. Clay roof tile can also withstand climatic elements well, and their durability improves with exposure. The combination of performance and aesthetic enhancement make clay roof tile a popular choice. Whatever you choose, we offer all roof tile related services, such as installation, repair, and maintenance, at an affordable price.